Ultrasound is a relatively small intervention with a huge impact. We teach simple skills with the ultrasound machine physicians can combine with their medical knowledge to confirm diagnoses or rule them out. With the addition of ultrasound in an emergency department in Rwanda, medications were adjusted 30% of the time. 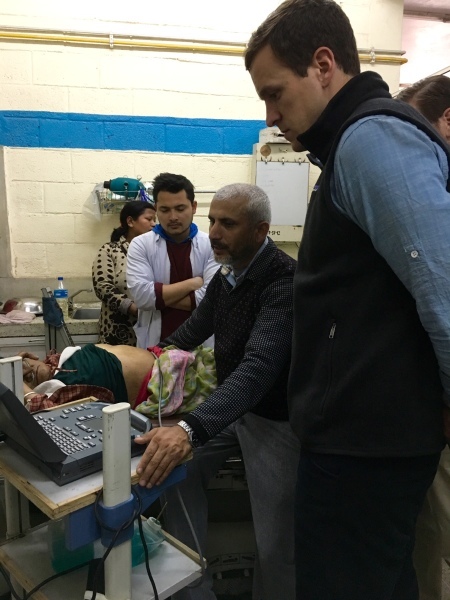 After a Global Sounds instructional course, emergency physicians at Patan Hospital in Nepal were able to diagnose 91% of pneumonias with ultrasound. Chest X-ray was only able to diagnose 73%. 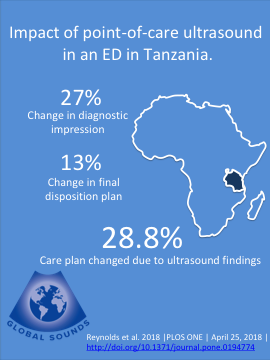 In the same hospital in Rwanda 42.4% of the time ultrasound was utilized resulted in a change in the patients' dispositions. This helps maximize a hospital's limited resources to impact the most lives. At Georgetwon Public Hospital in 2015, there were 64 ectopic pregnancies that required surgery.